Aussies are serious coffee snobs whether we like it or not and are loyal to to familiar brands and Baristas we love. 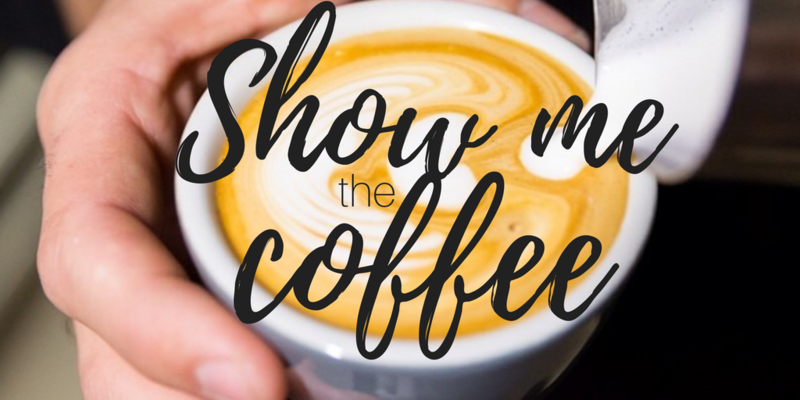 Within the Exhibition and Events Industry there are a few factors to consider if you are thinking about offering coffee on your custom display stand at your next trade show, conference or activation. We all have a story about a rude, slow and grumpy barista, it doesn’t matter how good the coffee is it definitely leaves a bad taste in your mouth when you walk away vowing never to part with your money there again. You can order coffee through most venues but you need to sum up how important this service is to your event. Do you know what you are getting? Do you know if the Barista is qualified for high volumes? 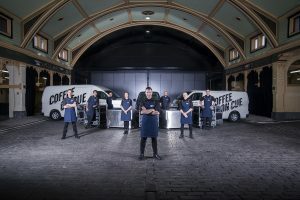 Is coffee their passion and their business? You might as well ask…did they have an all night bender the night before? When you have invested so much to get to this part of the planning process, ask yourself whether it is worth taking a risk or if you want a supplier that keeps delegates coming back again and again and again. You will need to check with the show organiser regarding any policies or restrictions you need to adhere to. Some shows include coffee in their platinum sponsorship package which rules out any other exhibitors offering coffee at the same event. Ensure your exhibition stand design concept has an allowance for the coffee counter, equipment, baristas and delegates. Make sure you get the exact measurements of the counter from your supplier so the stand designer can scale it accurately on the floorplan and the correct power for the machinery can be ordered. You also want to make sure the Barista is not standing in front blocking your logo so it is important to have the design concept right. Most delegates are looking for their morning coffee fix either on arrival or around morning tea and taking into consideration at some of the larger meetings there can be approx. 1000 + delegates attending you need to be organised and maximise your Barista staff during peak periods so you don’t keep the delegates waiting. Due to the limited time frames at these events it is essential you have quality machinery and experienced Baristas equipped to handle high volume turnover. Quality attracts quality so why risk serving no-name coffee, choose a quality provider so as to not reflect poorly on your brand, you may also want to consider adding branded coffee cups to ensure your name is walking around the event and on everyone’s lips. This is why our No.1 choice is the best in the business whether is Sydney, Melbourne, Adelaide, Brisbane or Gold Coast we’ve got you covered.